Lawyers very often send letters or legal notices to people through Registered Post A. D. also known as RPAD or Registered Post with Acknowledgement Due or Register Acknowledgement. This article explains why Registered Post is used and how to send a letter or parcel through Registered Post. What is Registered Post with Acknowledgement Due? “Registered Post with Acknowledgement Due” is written on any postal article, for which the sender wants a proof or acknowledgement of delivery to confirm that it has been received by the addressee or his representative. The acknowledgement is “Registered” in the Register of the postal authority and a proof of the delivery is also given to the sender. The fee for adding an Acknowledgement Card is Rs. 3 extra. The Acknowledgement Card is delivered back to the original sender by ordinary post. What type of postal mail can be registered? All postal mail except for Post Cards can be registered. What type of postal articles need to be compulsorily registered? Why do we use Registered Post? Registered Postal Article details are entered into a special register, which ensures proper delivery of the article. 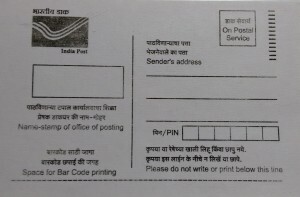 Ordinary post which is dropped in the post box or at the counter of the post office is not registered and there is no proof of delivery available for it. Can we use Speed Post or Private Courier services in place of Registered Post? What is the difference between Speed Post AD and Registered Post AD? You can use Speed Post or Private Courier for delivery of notices and court procedures, unless the law specifies that delivery must be made by Registered Post only. The reason why Registered Post Acknowledgements are conclusive proof of delivery is because it has been delivered by a government employee as per strict procedure of registering the document in the postal notebook and also taking a signature of the recipient when it is delivered. Also, Speed Post is a service which covers only certain areas of metropolitan and important cities. Speed Post does not cover interior and rural areas. Registered Post AD covers every nook and corner of India, even in the remotest of places where Private Couriers don’t operate. Can we send a Registered Letter or Parcel without attaching an acknowledgement? Yes. If the Letter or Parcel does not bear the words “Acknowledgement Due” or “AD” or indicate that an acknowledgement is required, the letter will be registered but no acknowledgement card will be sent to the sender. Mere registration that it has been delivered will be made in the postal register. Thereafter the sender can pay an additional fee and get a certificate of delivery from the postmaster. How do we send a Registered Letter or Registered Parcel with Acknowledgement Due? The Card can be obtained free of cost from your nearest Post Office. 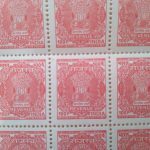 You can also buy bundles of 50 cards by paying a nominal fee. You can also get the card photocopied and use it. Fill up the front of the card Sender’s Address with your address in the three lines provided. Fill in the most accurate address, so that the card comes back to you. Fill in the PIN code correctly. Select Registered Letter or Registered Parcel or Fill in the blank _______ if it is a Book / Journal etc. 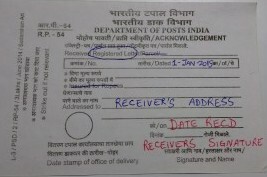 In the Addressed To field mention the receivers complete name and address. 3. After making the payment for the letter / parcel, retain the receipt so that you can track the parcel in future. Once your parcel / letter is delivered, the Addressee must fill in the Date on which the letter / Parcel was Received and also Sign / Stamp the AD Card (shown above in red). Can I send Registered Post to a foreign country? 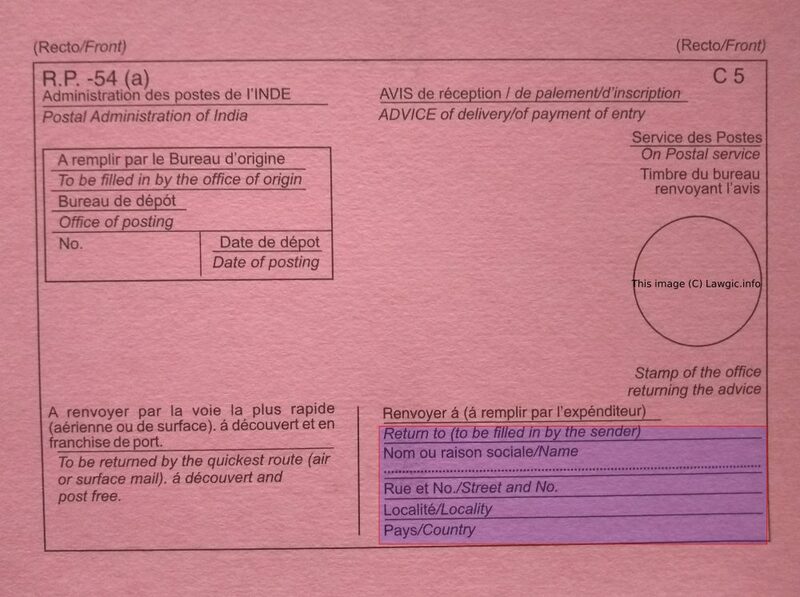 Yes, you can add a separate Acknowledgement Card (usually a pink coloured one) for foreign Registered Air Mail. How do I track the delivery of Registered Post? You can track the delivery of the document by visiting: http://www.indiapost.gov.in/. Nowadays tracking of the Registered Articles and Speed Post can be done by SMS. Sometimes, if your mobile number is properly entered, you will automatically receive an SMS upon delivery. Ensure that at the time of submitting the parcel or letter for registration, the senders mobile number is clearly mentioned and entered into the system. Note that the AD Card is returned to the sender by ordinary post and given ordinary priority. You may want to check with your post office or wait for a few days before complaining. After placing a complaint, you will receive a letter in writing, stating whether your document was delivered or not. Additionally you can apply for a Proof of Delivery of the document in future. Which date will be considered by law for the purpose of determining the completion of communication of the Registered Post letter or article? The date on which the sender puts it into delivery or the date when it is actually received by the addressee? Registered Post is delivered all over India and the delivery time can vary from 2 days to 7 days under normal circumstances. In such a case the time difference between delivery to the post office by the sender and actual receipt by the recipient needs to be considered. (a) A proposes, by letter, to sell a house to B at a certain price. The communication of the proposal is complete when B receives the letter. (b) B accepts A’s proposal by a letter sent by post. 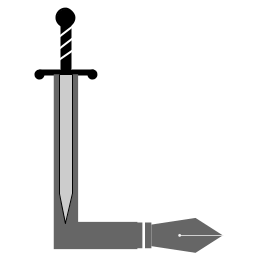 The communication of the acceptance is complete, as against A when the letter is posted; as against B, when the letter is received by A. (c) A revokes his proposal by telegram. The revocation is complete as against A when the telegram is despatched. It is complete as against B when B receives it. B revokes his acceptance by telegram. B’s revocation is complete as against B when the telegram is despatched, and as against A when it reaches him. This entry was posted in Code of Civil Procedure 1908 (CPC), Useful Information on February 28, 2015 by admin. I am a lawyer. When I send by RPAD, Acknowledgement card alone is returned to me without the addressee’s signature on it. How can I use it proof of delivery. This is happening quite often. The very purpose of resorting to RPAD post is defeated by this kind of service from the postal department. When you are dealing with many legal mails, you can’t possibly follow-up or seek proof of delivery for each individual letter (which are mostly legal notices). Courts rely more upon public delivery system (Govt. postal service) to private couriers, when it comes to authenticity, but the postal services are poor. Postal services need to spruce up their services. They can consider revising their charges, if need be, in order to offer better service. Thanks for your valuable information. i did not understand why there are two services with just a small change. if delivery of registered post is reduced to 2-3 days. So there would be only normal post( No security+no AD+ normal delivery) and registered post ( More secure+ less time + AD). Unnecessarily people are confused in speed post & registered post plus a extra burden on government to maintain the documentation of these two. Sir I have sent 4 RPAD from Post Office, High Court Building, Nagpur, Maharashtra on 29.3.2016.
till date I have received only 3 Acknowledgements and the 4th acknowledgment is still awaited. how do I know the status of the 4th post I sent though your above said branch. I just did my first registered AD and it went alright. Let’s see the acknowledgement comes soon. But I never expected a blog around it. It makes so easy for newcomers to enter into this profession. Bookmarking it for future reference as well. I send one enveloped via post tracking id started with RI XXXXXXXXXX IN I am not understand this post is registered post or speed post or railway parcle. Its not able to track online. In how many days it will reach to destination? which date will be taken as the delivery date of a registered post whether a date when sender puts it into course of transmission or the date when it is received by addressee? I have sent a RPAD letter for which I have paid charges to postal deputy and receipt is issued to me. Now receipt is misplaced by me . Receipt is required for the legal activity. How can I have the detail of that receipt ? I have sold my car and this i want to inform to rto Mh04. Whom should i address this document to? I have already send transfer paper twice but everytime i get status “delivery attempted other”. What does it mean and how can i make sure that transfer papers are delivered and i am free from any legal liability. Also when i check online, there are 2 rto for thane. 1 near louis wadi and 1 near central jail where should i send my documents? Please help me with the same. In case of a legal notice, will the acknowledgement of registered post be sent to the petitioner or to the advocate handling petioner’s case?? Acknowledgement is always sent back to the sender. This is MOST unfortunate, as I have read and reviewed so many responses of citizens here, that despite making an AD registered posts, Dept. of Posts has not spruced up their services and have not brought efficiency in the delivery service of the field-staff. The Minister for Telecom and Posts should be brought into the fold along with a copy to NaMo ji for this network of fraud and inefficient service. I urge all of you to send your target recipient/addresses and from where was your AD letter dispatched. It shall open up the names/locations of the staff that did not deliver. Can Convey of an order by registered ad be treated as equivalent to actual hand over I.e. direct handover? In normal post letter we paste five rupees stamp,How many rupees stamp we paste for acknowledgement post ? I intend to send two letters in a single cover by registered post. How can i get a proof that both the letters are delivered? can I use the space provided at the top of the AD card ( received registered letter/parcel———————–) for entering the numberof enclosures in the cover? Can a AD card be used for foreign Registered Post. If yes what will be the charge? 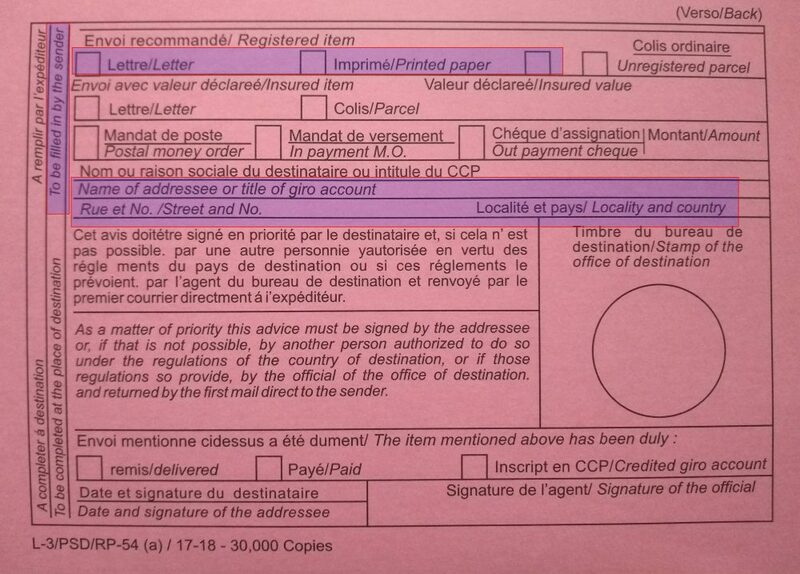 Yes, you can add a separate Acknowledgement Card (usually a pink coloured one) for foreign Registered Air Mail. Ask your post office for the charges. It’s best to send both the letters separately. Else, you can simply reference the other letter in the contents of each letter. Registered Letter fees are dependent on the Weight, Destination and also the time. Ask at your local post office. Usually it does get delivered, but Track it to confirm. what is the fee for obtaining a certificate of delivery of a regd. article in case no AD was attached with it. We often send Number of letters under Regd AD from a particular Post Office. The average weight of the same is 22 to 23 gms. However, some times the post office charges Rs. 25.00 and some time it is charged at Rs.30.00 Can you please tell me the correct charges for 22 to 23 gms. I want to send RPAD to 10,000 people. Wanted to know if there is any specific format in which we receive the outcome of the delivery. I am getting my academic documents evaluated by WES CANADA. Now, WES states that the academic transcripts should be properly packed in official envelope and sealed by controlled or registrar of examinations and sent by the university itself. The university has vehemently refused send documents to WES canada. Nevertheless, they have handed over the transcript to me in a sealed and stamped envelope. Now my question is that is it possible that I send the envelope to WES on university’s behalf? If yes, what all are the things which should be kept in mind before sending the mail to WES so that my application does not get rejected. In a case filed by me the district consumer court issued an order in favour of me. But the regd notice issued by the forum to the concerned company returned twice mentioning” addressee not known” even after I convinced the post man exact location of the opposite party as per the suggestion of court. When I contacted the concerned post man he insists that it cannot be delivered because the said company didn’t informed the post office of their functioning in that locality. Actually the said company is functioning at a walking distance of the said post office. The post man himself knows it. So what is the solution for my grievance? By this unfair act on the part of postal department, I am denied of justice and this warrants remedial action.